Got a hungry gang? 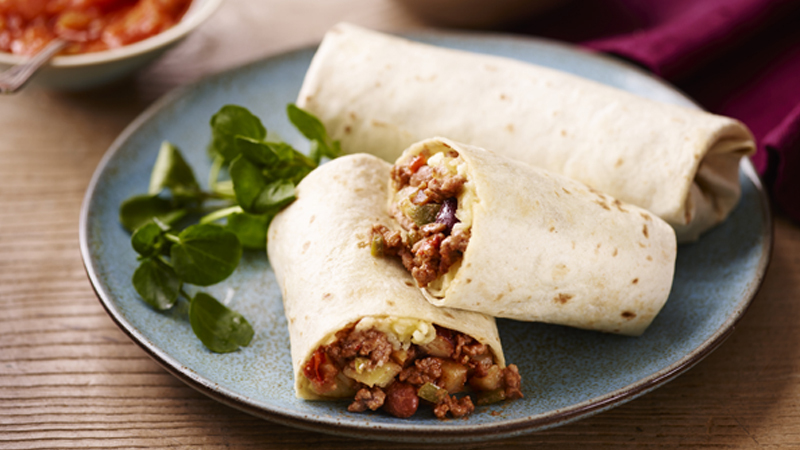 Serve these seriously filling burritos, with beans, meat, potatoes, chillies, and thick salsa topping it all. 1. Preheat the oven to 180ºC (160ºC for fan assisted ovens), gas mark 4. Grease a large baking dish with a little oil. 2. Heat the oil in a large frying pan and cook the potatoes, over a high heat, for 5 minutes, then stir in the onion and continue to cook for a further 5 minutes. Add in the beef and chillies and cook for 5 minutes more. Then add the beans, salt and pepper and stir together. Bring to the boil then turn down to a gentle simmer and cook for 5 minutes, stirring. 3. Divide the mixture between the tortillas, sprinkle with cheese and roll up, tucking the ends in as you roll. Place seam side down and ends down in the tin and cover with foil. 4. Cook for 10-12 minutes for until thoroughly heated through. Serve the burritos with salsa and soured cream. 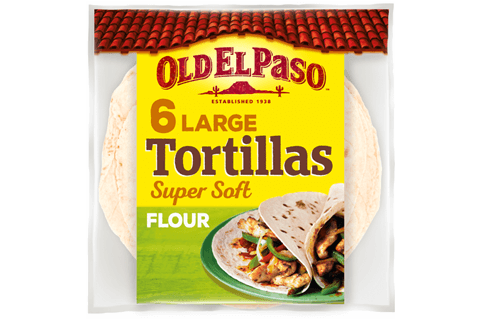 • Serve with Old El Paso™ Original Nachips™ and guacamole. • You roll up the burritos like you would a chimichanga. This way it ensures all the filling stays inside.